At 12:40 in CC114, check out “When Warrior Women Because Heroines” part of the Ernst & Young Lecture Series at SUNY Oswego. “When Warrior Women Become Heroines: The Rani of Jhansi Regiment in World War II,” discussion by Geraldine Forbes, SUNY Oswego’s Distinguished Teaching Professor of history, with respondent Faith Maina of SUNY Oswego’s School of Education. Part of SUNY Oswego’s Institute for Global Engagement discussion series themed “War in a Global and Historical Perspective.” Free; Parking for those without a campus parking sticker is $1 — see oswego.edu/administration/parking. 312-3094. SUNY Oswego Civic Engagement and the Office of Business and Community Relations would like to thank all of the people who have participated in our Random Act of Kindness campaign so far. 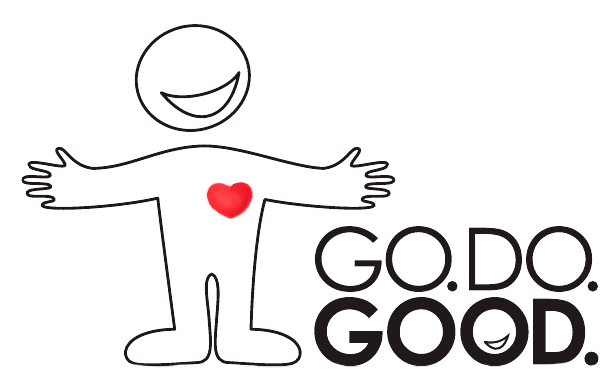 It has been a great joy to see all of the nice things people are doing for one another on our campus this semester. We will continue to announce winners throughout the semester so keep an eye out, the next one could be you! Countdown to Greg Horowitt: Almost 2 Weeks Away! 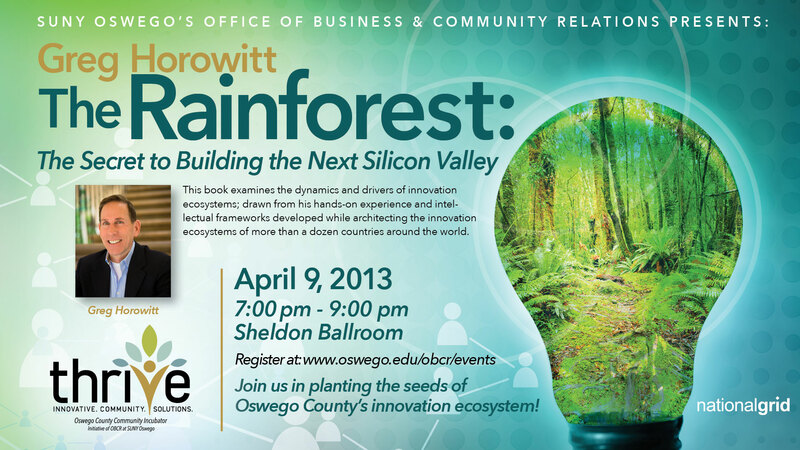 On Tuesday, April 9th, Greg Horowitt will be coming to SUNY Oswego to discuss the process of helping communities grow in the context of his book, The Rainforest: How to Build the Next Silicon Valley. Horowitt’s book examines the dynamics and drivers of innovation ecosystems and draws from his hands-on experiences in intellectual frameworks. He has developed these ideas on his world travels to more than a dozen countries. The event will be in SUNY Oswego’s Sheldon Ballroom from 7:00 pm – 9:00pm. We encourage those who wish to attend to register before hand at http://www.Oswego.edu/obcr/events. In Campus Center room 132 at SUNY Oswego, Ina Pfeifer Issa, a lecturer on cross-cultural management at SUNY Empire State College in Beirut, Lebanon, will examine women’s expanding work opportunities and their continuing challenges as well as attitudes towards women’s work in Lebanon. This is a part of the Ernst & Young Lecture Series. This is a free event, though parking for those without a campus parking sticker is $1 — see oswego.edu/administration/parking or call 312-3236 for more information. SUNY Oswego’s Office of Business and Community Relations would like to welcome our new sponsor for our Community Incubator, National Grid. Part II of the Community Incubator is coming up on April 9th!